We are officially a non-profit! Alright. The paperwork is official! We are officially a non-profit! Check it out here! Help us help wounded veterans through the power of country! Wounded Veterans Foundation, Inc. is launched! Conceived in 2013, this Foundation has been set up to bring COUNTRY to the forefront for our soldiers who have been out there fighting for our freedoms overseas! These brave, stoic soldiers have faced the evils this world holds! 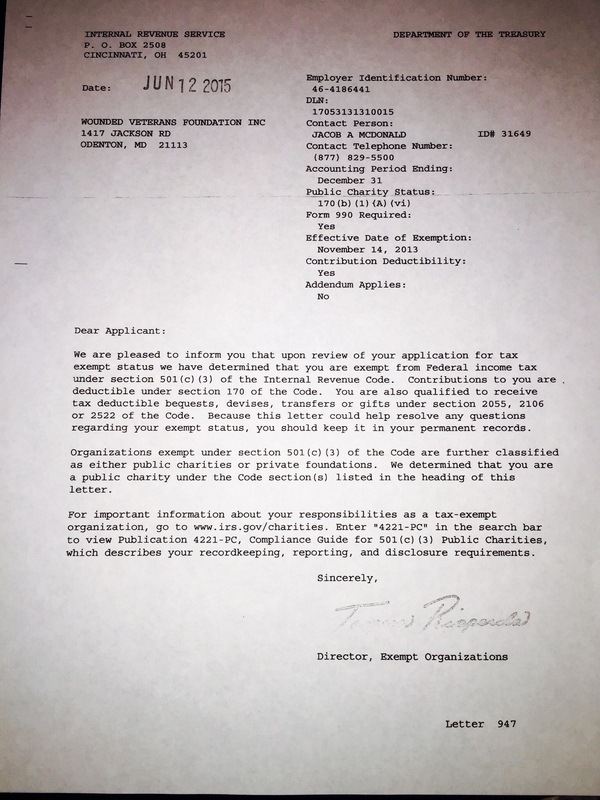 We are announcing our Foundation now has officially been granted a "pending status" as a 501(c)3 non-profit! Help us make 2014 to be our banner year! Let's bring back the "POWER OF COUNTRY" to our soldiers! Donate here.